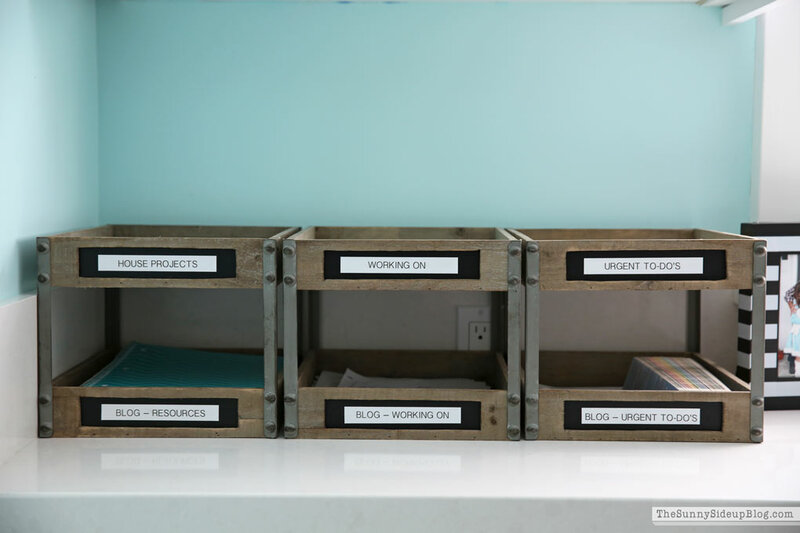 I use these labeled wooden trays pictured above in my office for all of my random loose papers I need. 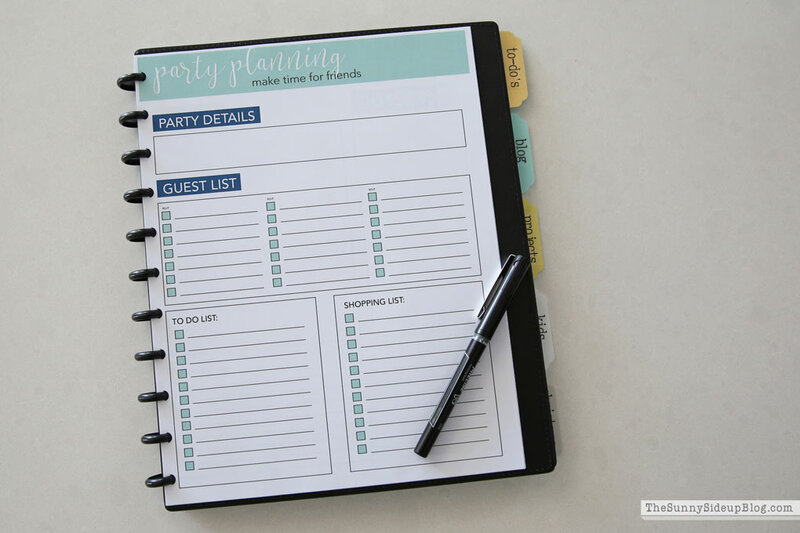 But I’m on the go so much driving my kids around that I like to have a planner with pockets to hold loose papers also so that if I find myself with extra time, I have my lists with me. I can be extremely productive filling out school forms or planning an upcoming blog project while I’m waiting at soccer practice, watching a dance competition or sitting in the school carpool line. Moms of school aged kids I know you feel me on this one! I also like large planners with more room to write (lists for days!) and I like to use my own printables. So.. after trying out a few different planners and notebooks lately, I’m happy to stay that I finally have a planning system I’m thrilled about! I’ve used Discbound Arc notebooks in the past and have loved them so a few months ago I finally decided to go back to the discbound system again. It just works the best for me. 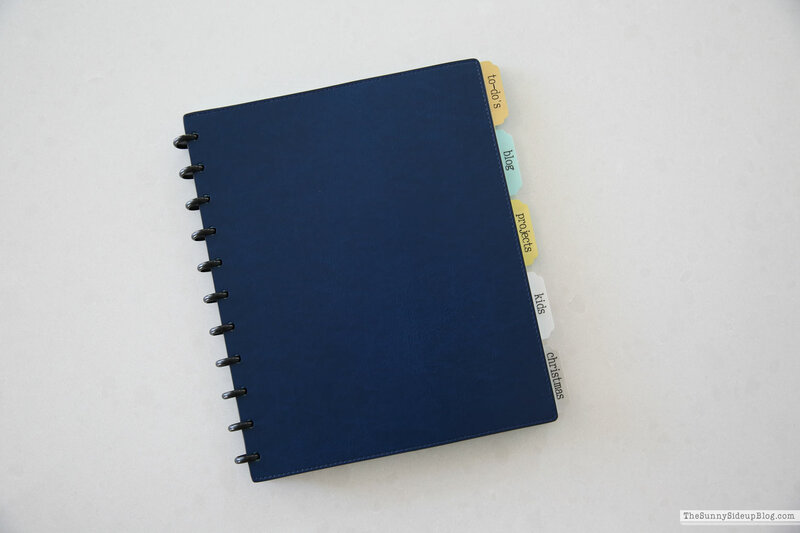 I ordered this pretty navy Levenger Notebook. This time blocking printable I designed last year is the one I use the most during the school year, but my schedule this year is so crazy I had to update it! I have so much going on with my 3 kids in 3 different schools that I needed the times to be in half hour increments. This new updated version is available in my printable library if you want it too! Every Friday when I’m doing my little “week ahead prep” for the next week I fill out five of these forms. 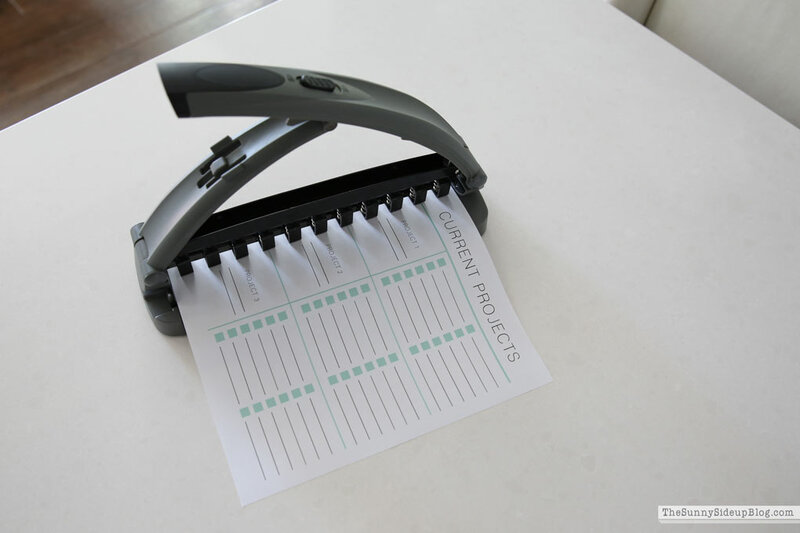 (You could use one with a sheet protector and a dry erase marker too! I’ve done that before.) Ellie’s High School schedule this year drives me crazy! It’s on an every other day schedule so it’s always changing. None of the days ever look the same. Some days she’s out early and some days she goes late and some days she has a class she takes at a separate school down the street that I have to take her to and some days she has dance after school and most days she has seminary early before school (church class). (I never thought I’d be ready for my kids to drive.. but this year, I’m starting to feel ready!) Her schedule is literally all over the place so I just focus on one week at a time! 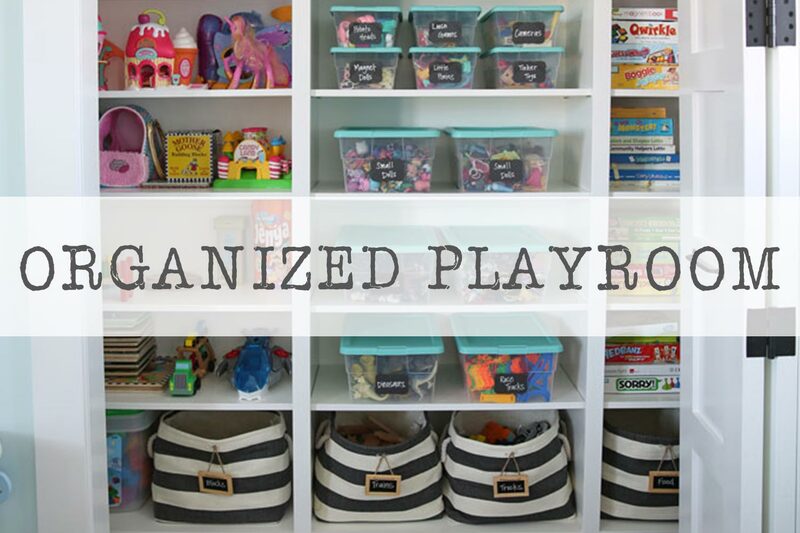 We keep all of our kids’ activities scheduled on an app on our phones that our whole family uses, but with El’s schedule this year I have to write down her her drop offs and pick ups and then work in all of the other stuff around it on paper or I feel like I’m losing it every day trying to figure out where I need to be and when. So before the week starts I at least have my kids’ schedules written down! Then the night before each day I write my to-do’s for the following day and I write down what work I need to do in the small pockets of free time I have. You can see above it’s nothing fancy. I just wrote “to-do’s” in the free spots on the paper above that day, but most days I have specific things I try to focus on during my work time so that I don’t get distracted cleaning my house. (That’s my biggest problem working from home! 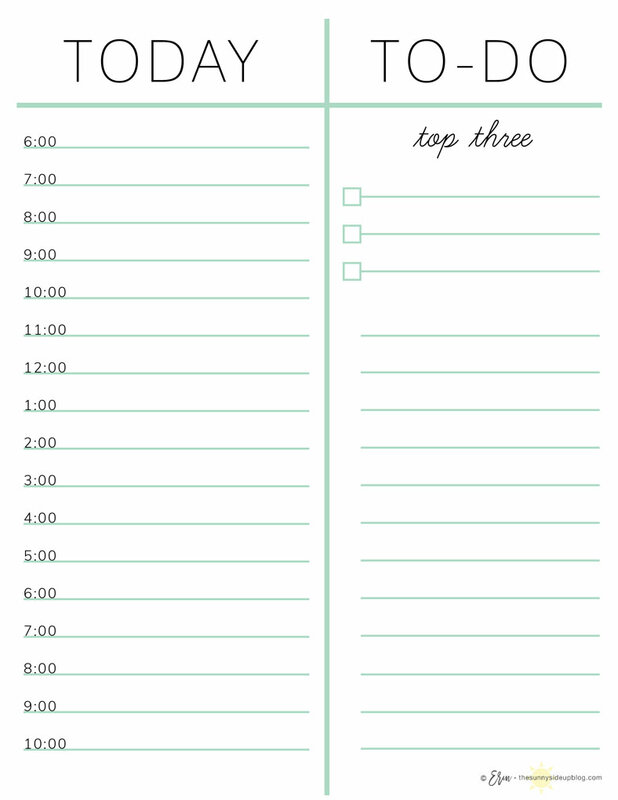 I always want to be cleaning..) Writing out my daily schedule and to-do’s on this printable and then time blocking everything has been a huge help in keeping me focused and on track! 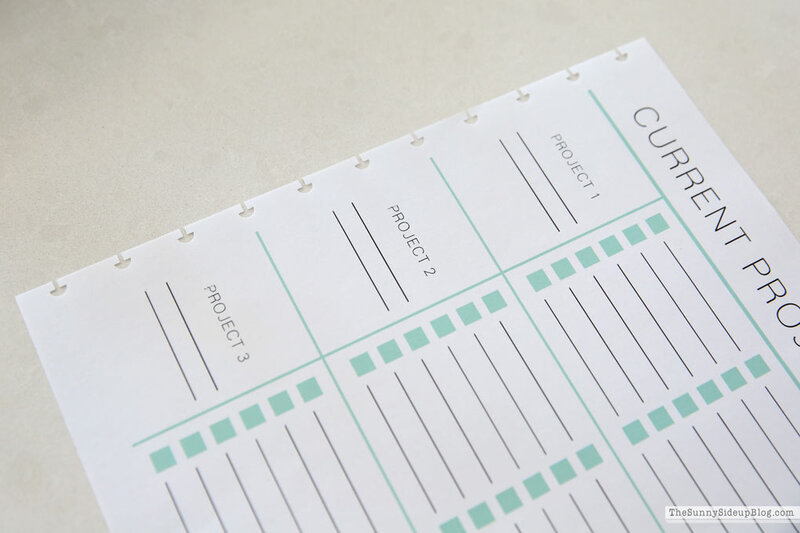 When I put together this new planning system, everything was so coordinated and cute that I decided my Current Projects page needed a little face lift too. ;) This is also in my printable library for you if you want it! Ahhh.. much better! The reason I love the Arc system better than a typical 3 ring binder is because you can fold everything back like a notepad. I like to do this when I’m on the go and writing lists and things. It’s also flat and less cumbersome than a binder (easier to keep in my bag). 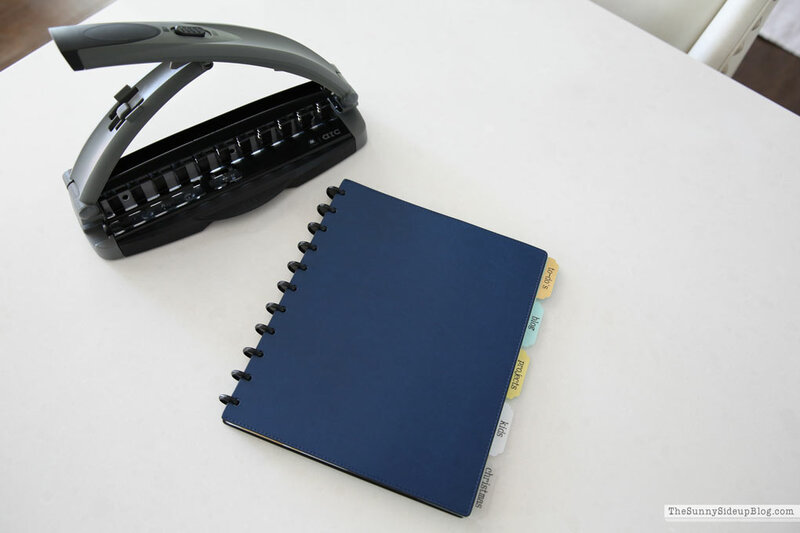 You can also pull out pages and pop them back in and move everything around easily without messing with opening and closing rings. The only downside to this system..
is that you have to buy your own paper punch. 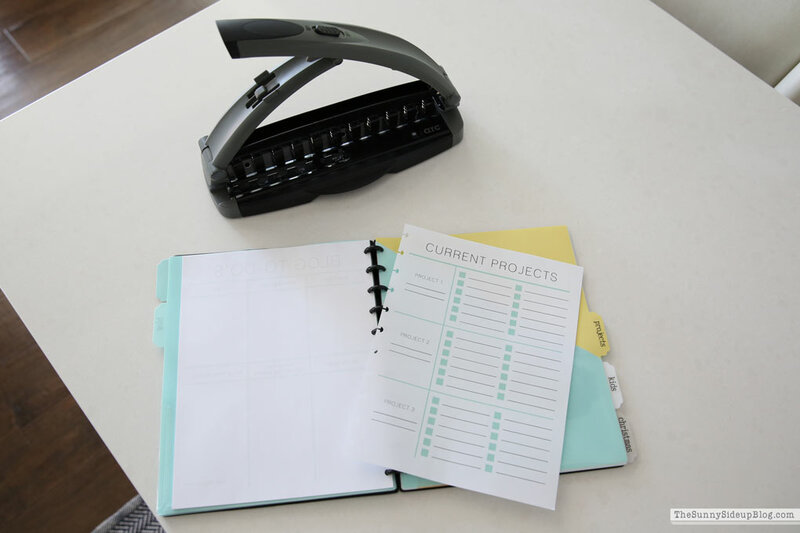 I bought this Arc desktop paper punch and LOVE it! It punches quite a few papers at a time so nice and easy. 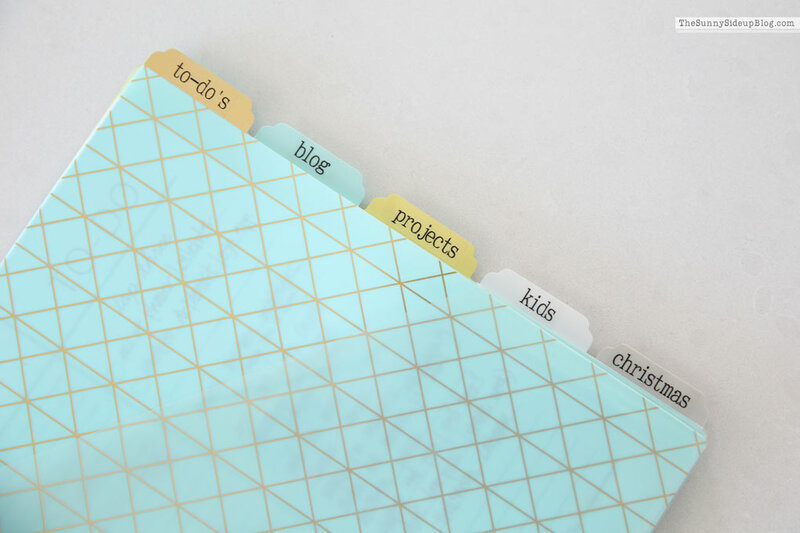 This discbound planning system is absolutely perfect for my Holiday Planner! 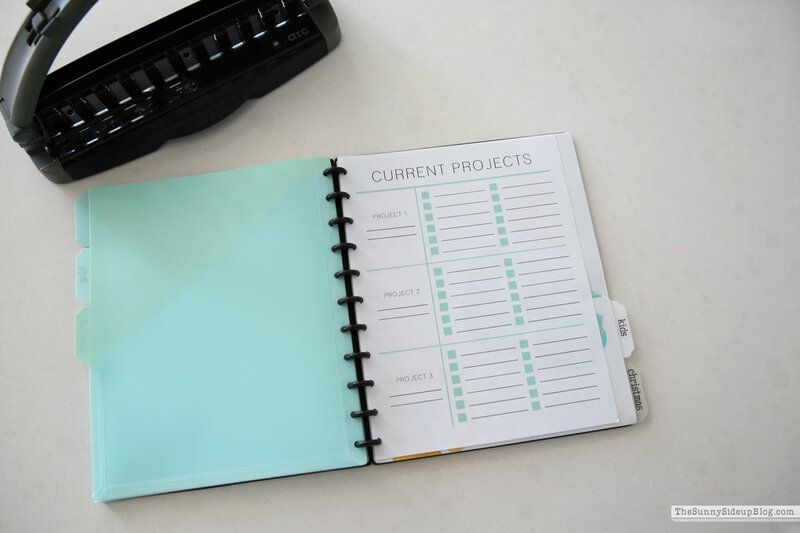 Of course you could also put it in a 3 ring binder or have it bound at an office supply store, but I love having mine punched and ready to go right inside my planner. 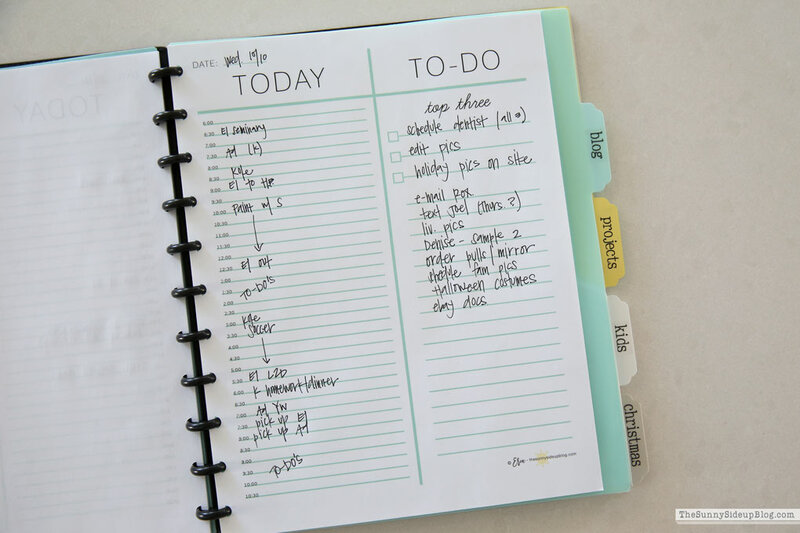 Have you all been using the week at a time lists? They started last week! I love that I don’t have to even think about what I should be doing to get ready for the holidays. I just follow this list and do what it says each week! I’m going to start filling out a few of these pages this week too. 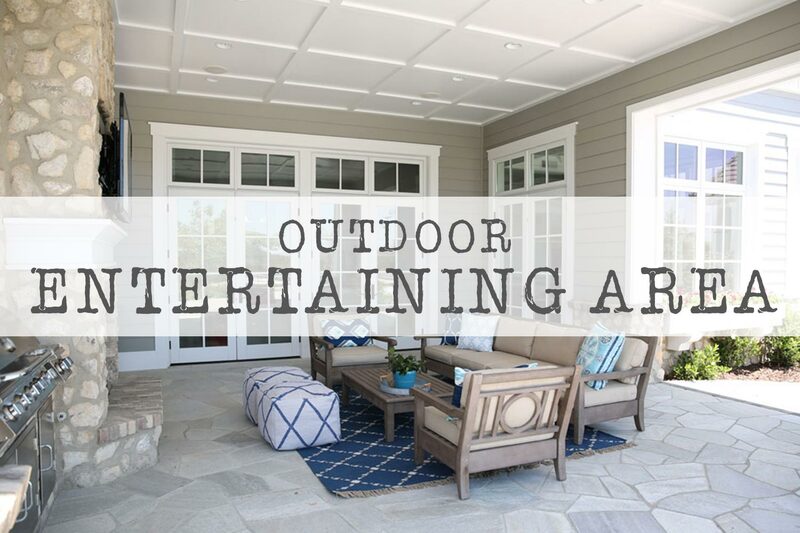 Yea for holiday entertaining! 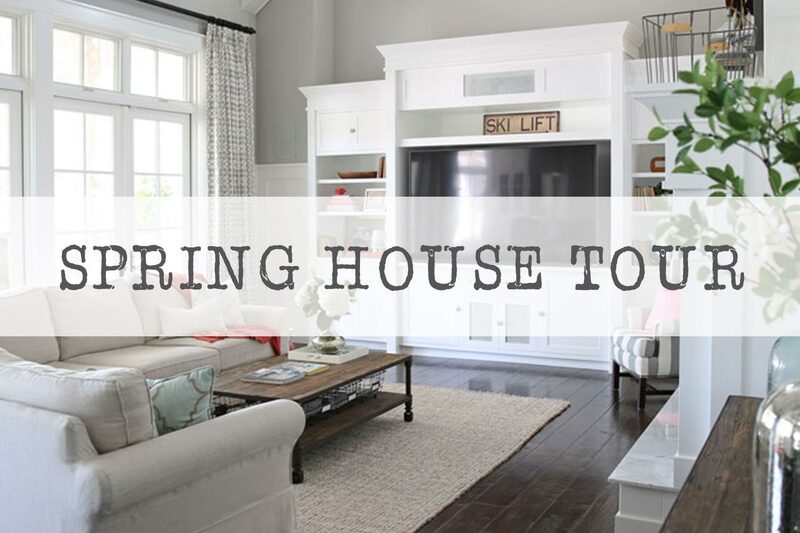 I have a few fun party ideas swirling around in my head and I need to just make a decision and get moving on it! 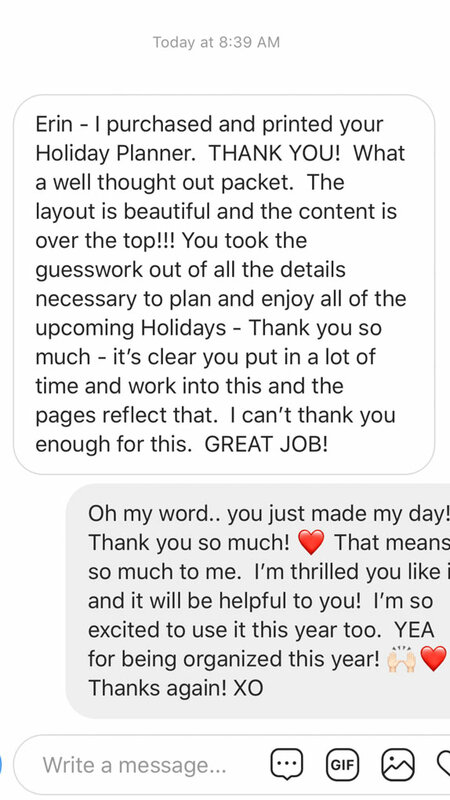 On a sidenote, I can’t thank you all enough for the sweet e-mails and messages you’ve been sending me about my Holiday Planner. 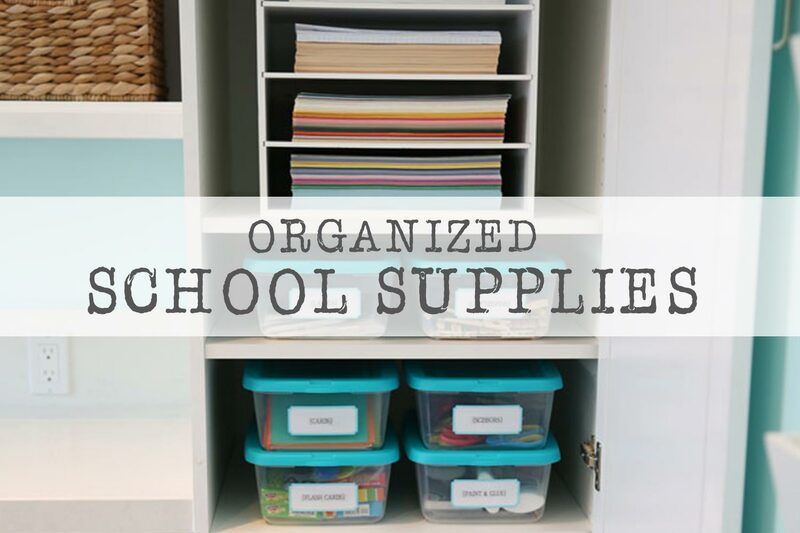 I’m so excited that it’s going to help so many of you stay organized! To be honest, I was so nervous to introduce it to you all. Ha! I’ve never sold a product before and I kept thinking “what if they think it’s stupid! ?” .. But then I reminded myself that I don’t think it’s stupid (I love that sort of thing!) and even if some people don’t love it, other people hopefully will. You just have to be brave and try new things. So phew!! 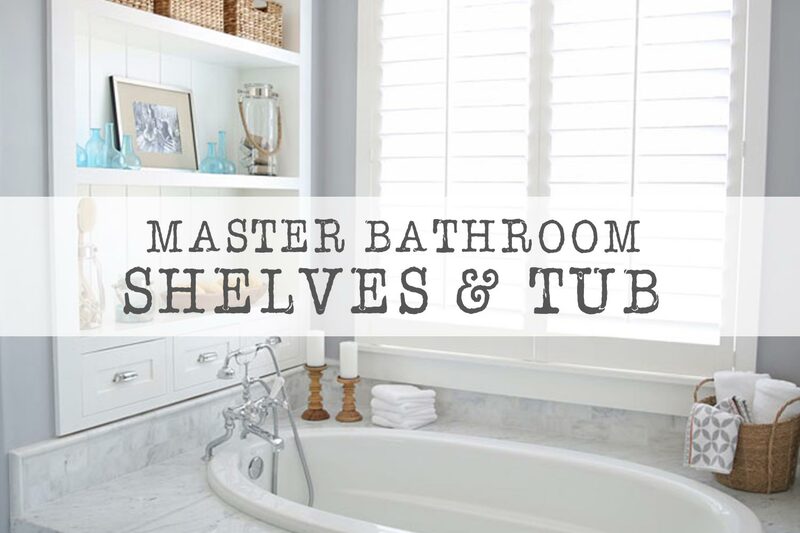 Huge relief that so many of you love it like I do! You have no idea how happy your sweet messages make me. 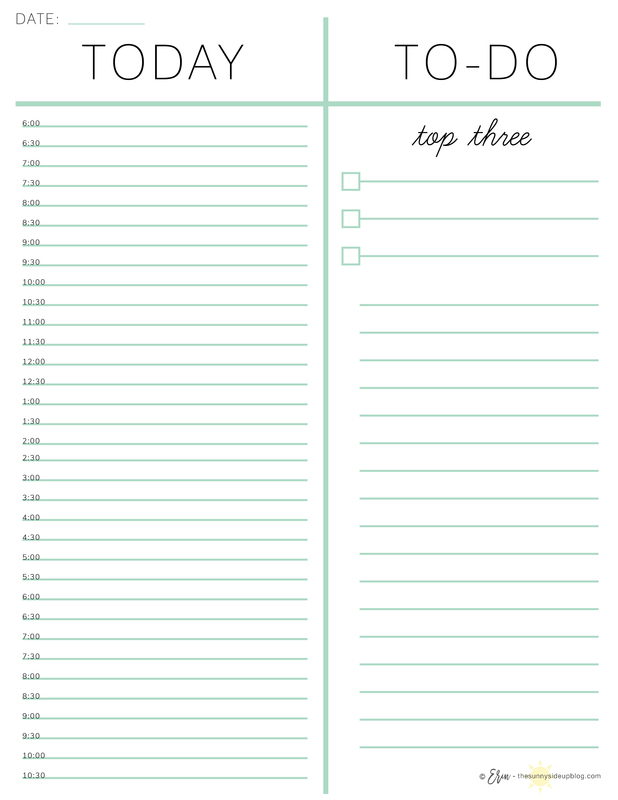 *You can download any of my free printables by signing up HERE. 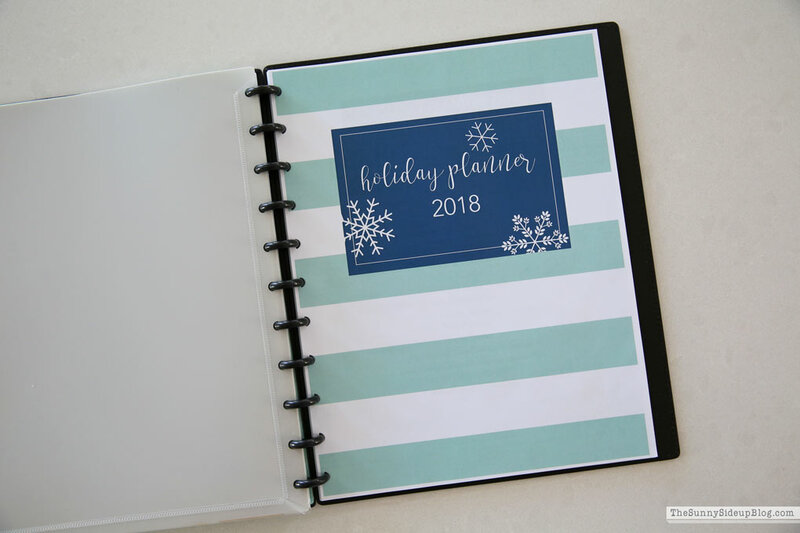 *You can still purchase my Holiday Planner HERE. Yes! 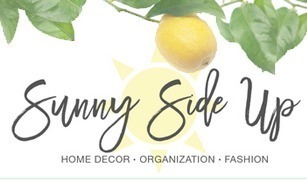 Please do a post about blog organization!! Hi again Erin! I know it has been forever since we “chatted”! lol. It’s fun getting back into the blog scene. I am getting ready to start mine up again (I think!). Congratulations on your planner! How exciting! It is beautiful. 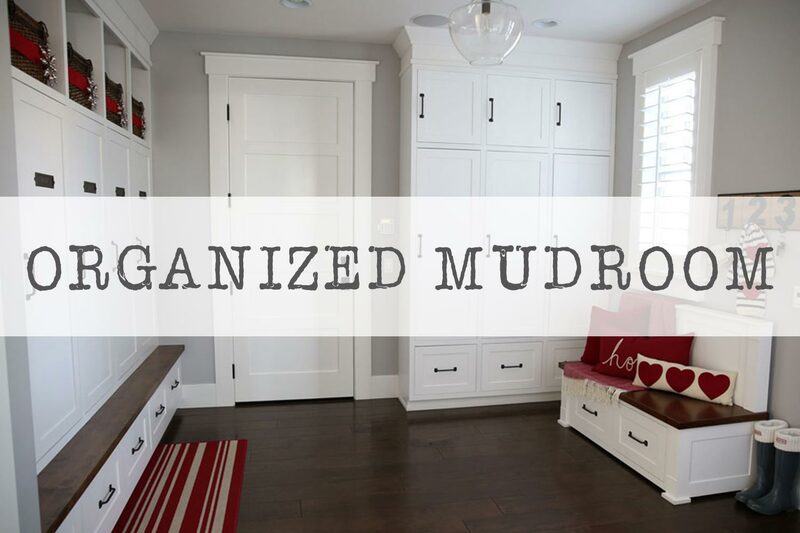 I always love your organization tips. 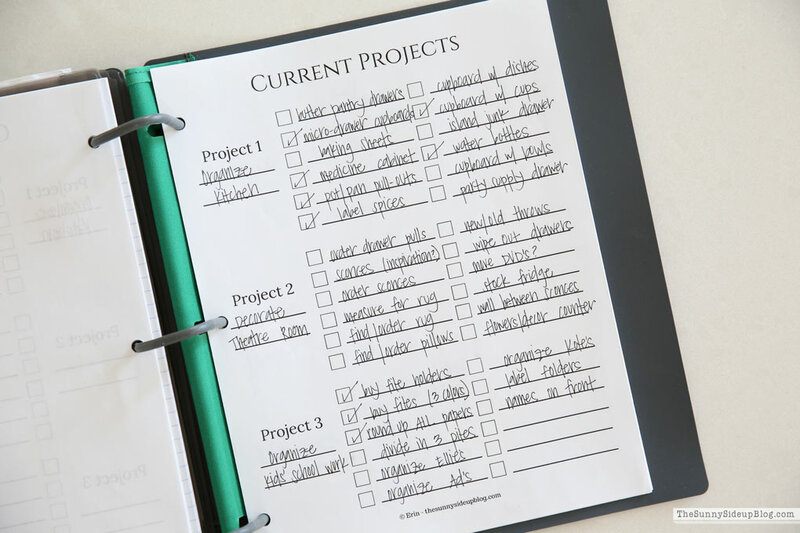 I remember years ago I made a planner like yours after you blogged about the way you organize your 3 ring binder! Writing things down really does help in so many ways. I just started implementing Rachel Hollis’ journaling ideas about your 5 things you are grateful for each day and 10 dreams you will make happen. Such a good way to start your day so intentionally! 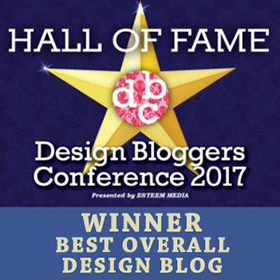 Oh my word.. 3 blogs would be crazy to juggle! Very impressive if you can pull that off! I’ve been following since before your last baby was born!. 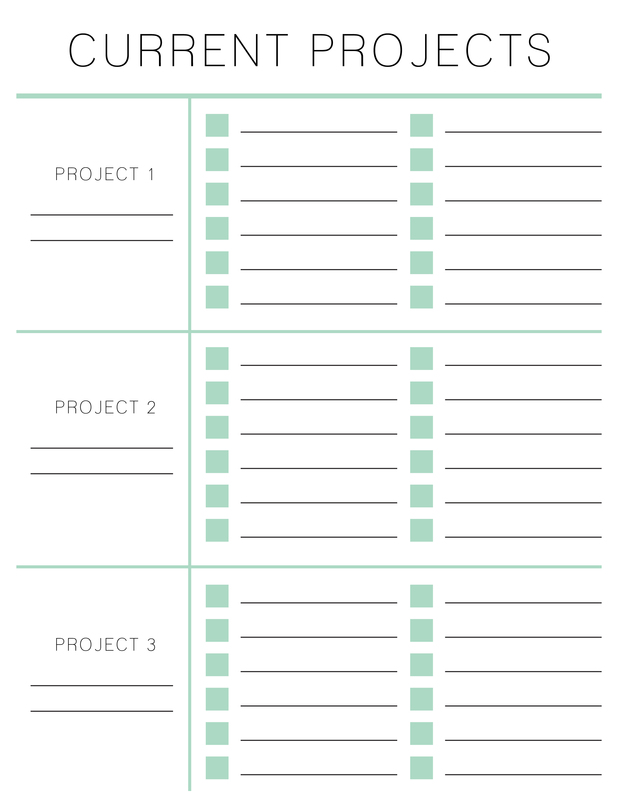 My favorite of all your pages is the Current Projects page – the original format. 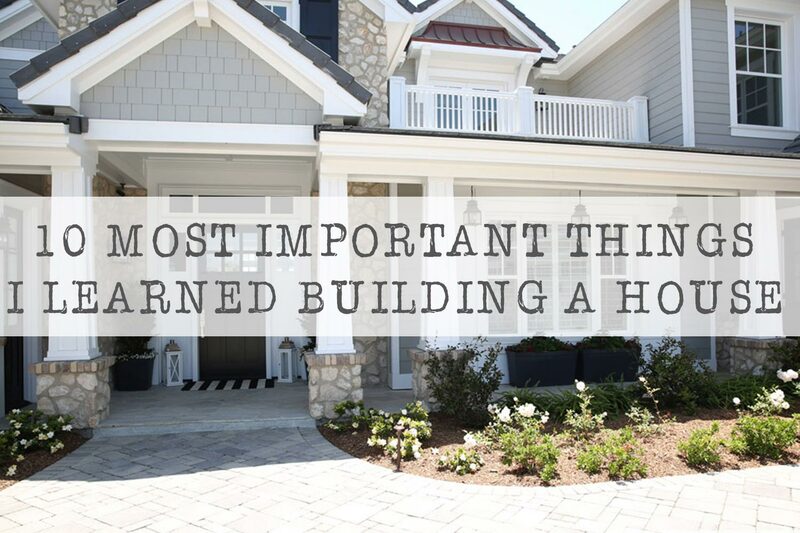 My question for you today, not connected to planning at all! 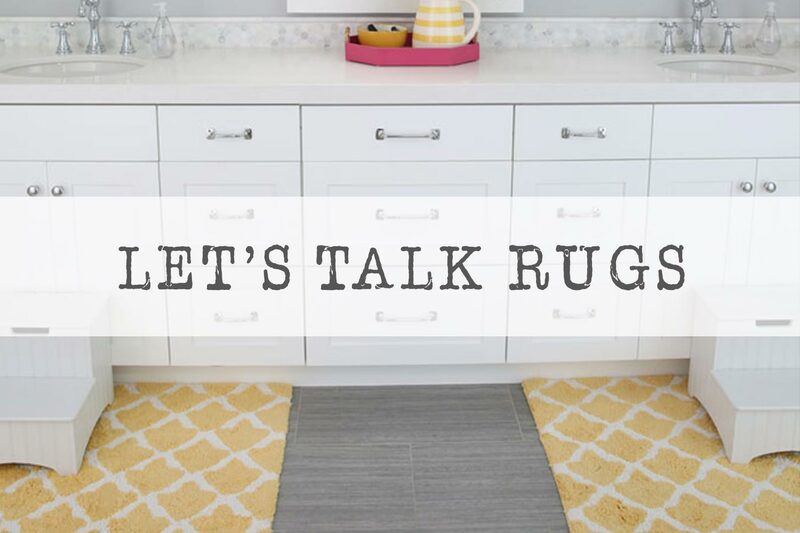 – with all of your gray walls, what is your flooring color? We have an old 1973 bungalow that we are slowly updating, and we have beautiful walls, but now we have to choose our flooring. Currently they are pine . . . .
You probably already have the info on the blog somewhere, could you point me to it? I love the disc bound system as well. I also come back to it. 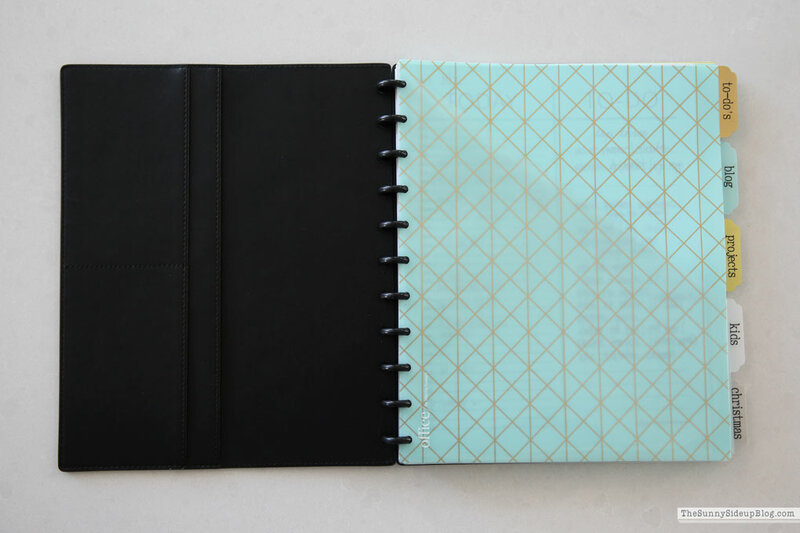 I recently started leaving an empty divider pocket at the back of my planner. When I do my weekly planning session I can place anything I may need for the upcoming week (schools forms, check for sports, etc.) in that pocket and move it to the day I will need what is in it. No more forgetting the check for my son’s baseball tournament or important school forms that needed to be turned in. 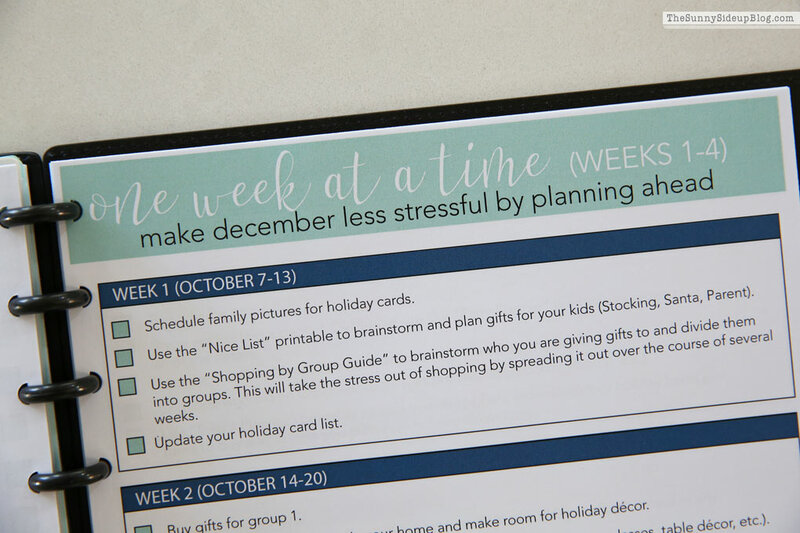 Thanks I love your organization posts and am planning on getting your holiday planner too! 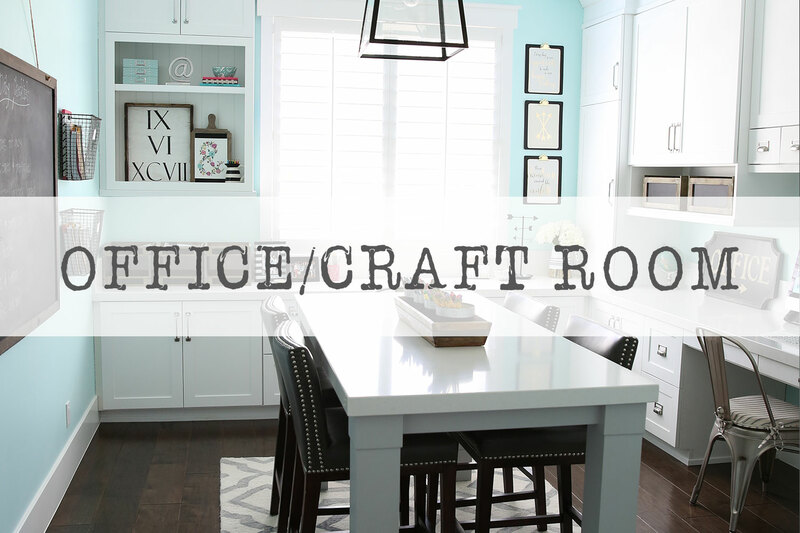 I would love to see a blog post on how you create some of your free printables. 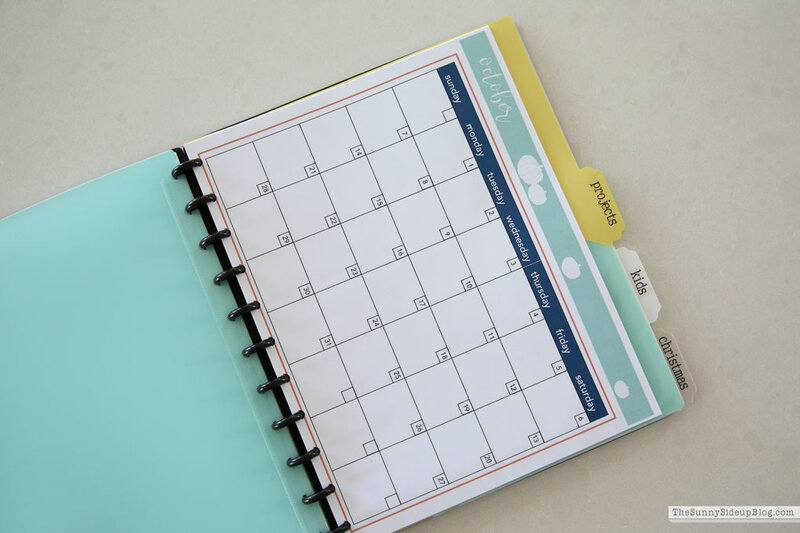 Would like to attempt to make my own exercise log printable rather than rewriting it on blank pages for my planner all the time. 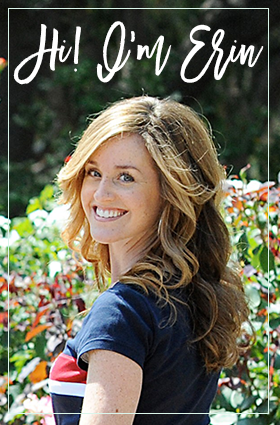 Hey, love your blog and these tips but I think you meant Martha Stewart not Steward. Did I miss something when you were talking about the “week at a time” topic and it showed a picture of how your week is planned and broken down for you? I need that!!! I’m the biggest procrastinator! Ah!